Zimbabwe's quadrillionaires are about to disappear. 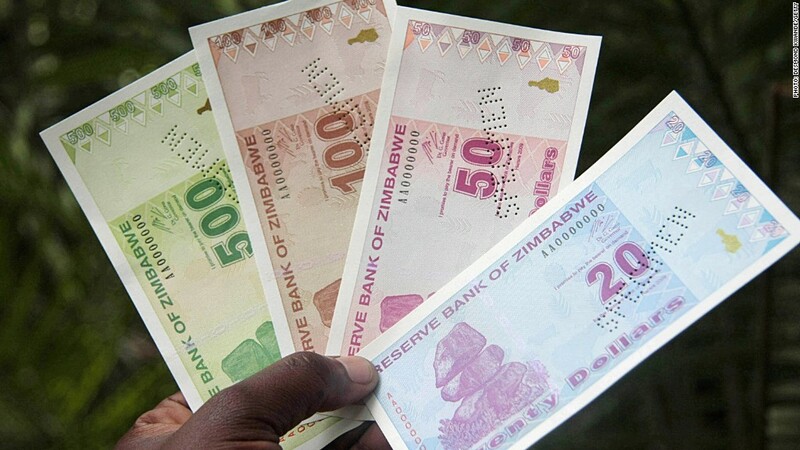 The southern African country is finally mopping up what remains of its worthless currency by offering to swap bank deposits or cash for as little as one U.S. dollar per 35 quadrillion Zimbabwean dollars. Zimbabwe abandoned its money in 2009 after hyperinflation destroyed its value. Most transactions since have been conducted in U.S. dollars or South African rand. But a small number of Zimbabwe dollar notes with virtually no value remain in circulation and the central bank is now trying to take them out of the system. Zimbabweans have until the end of September to exchange them. "The decommissioning of the Z$ has been pending and long outstanding since 2009," the bank said in a statement. Zimbabwe spiraled into deep economic crisis after President Robert Mugabe introduced a radical policy of land distribution in the late 1990s and early 2000s. Facing chronic shortages of basic commodities, the central bank kept printing money to fund budget deficits, ultimately causing prices to go crazy. At the peak of the crisis, prices were doubling every 24 hours. Cato Institute economists estimate monthly inflation hit 7.9 billion percent in 2008. There are no official numbers -- the authorities gave up trying to keep track. Unemployment soared and public services collapsed. According to the World Bank, the economy shrank by nearly 18% in 2008. The Zimbabwe dollar was swiftly replaced by foreign currencies, first unofficially, then as part of government efforts to curb inflation and revive the economy. Within a year, the country had returned to growth. Zimbabwe's GDP rose by 3.2% in 2014, but growth is expected to slow this year.